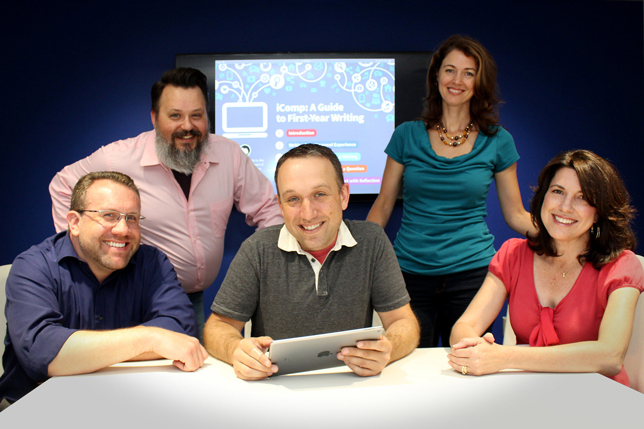 Columbus State Community College created a multimedia e-book for English composition students that reduces textbook costs and reimagines the ways learners engage with course material. E-textbooks made up of open educational resources can greatly alleviate the cost of students' course materials, yet many open source textbook efforts are specific to STEM courses. The majority of OpenStax's library of free textbooks, for example, focuses on science and math topics. So in 2015 when a team of faculty members and instructional designers at Columbus State Community College (OH) began looking for a low-cost textbook option for the school's online first-year English composition course, they opted to create their own. 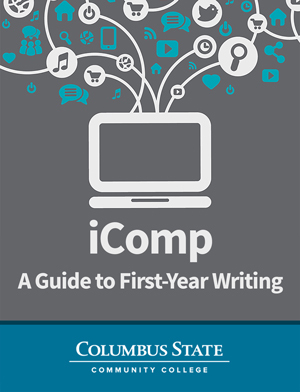 Three years later, CSCC's "iComp: A Guide to First-Year Writing" Multi-Touch iBook has completed a two-semester, seven-class pilot phase and is now being rolled out to four courses. According to the project team, the book eliminates the need for traditional textbooks and re-frames the ways students engage with course material. While it is important that students are saving money, the hope is that the innovative curriculum design will increase student success and retention. "We wanted to have the textbook be something students are constantly interacting with as a means of doing the work, not a supplementary thing," explained Nicholas Lakostik, an associate professor of rhetoric and composition and one of the four authors of the book. Composition class is about reading and writing, but the iBook allows students with different learning styles to engage with the material, noted Jason LaMar, supervisor of instructional technology innovations in the Digital Education and Instructional Services division. "There are a lot of video clips and audio segments, as well as interactive pieces that are tactile," he added. "Tapping into all those learning styles was a huge benefit of the platform." 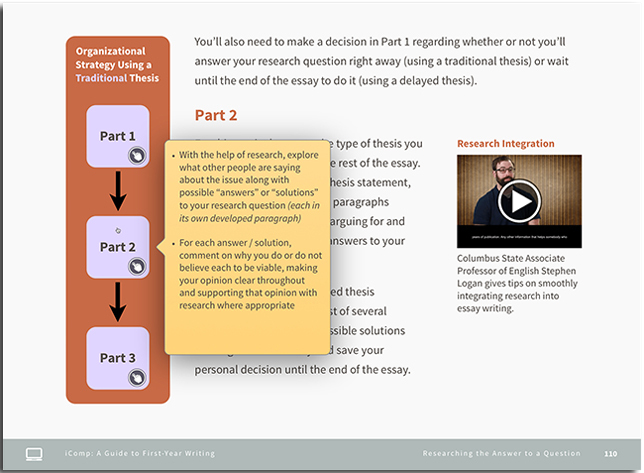 The iComp e-book is organized so that each chapter leads students through a specific type of essay writing. To both complement and supplement the text, the authors created videos, interviews, animations, photo galleries, virtual spaces, interactive objects and quizzes, and links to other resources and readings on the web. The iComp e-book features interactive widgets, videos and other multimedia elements. One goal was to help students see the real-world applications of the writing skills they are learning. For example, the project team linked to sites such as NPR's StoryCorps and created activities around them so students can see how people develop and use narratives for varied academic, professional and personal purposes. Before setting out to create an interactive textbook, the CSCC team looked at existing attempts at composition e-books and were not impressed. "They were static," LaMar said. "They were like glorified PowerPoint presentations." But he added that creating an e-textbook for composition does present thorny challenges. In STEM fields, there is objective content to be learned. This project involved concepts that were more subjective and contextual. The first pilot group was made up of high school students getting dual credit in community college. "We have a facilitated model with students doing work in an online shell," Lakostik explained. "An instructor at our campus is the instructor of record, and an instructor in their high schools serves as a facilitator and gives students feedback." CSCC next integrated iComp into its distance learning courses and created a full 16-week course and assignments in the Blackboard learning management system. Students register for specially designated "Bring Your Own Apple Device" (BYOAD) sections in order to access the e-book. For the upcoming semester, CSCC is changing the way it advertises the course sections using the iComp book. "We had students who had no idea they had signed up for an Apple class," LaMar said. For the fall, the BYOAD classes will be the first four sections listed with a big font that says an Apple device is required. Another goal is to develop a blended modality version of the course (an online course with required real-time, face-to-face sessions). iComp was created in Apple's iBooks Author, with tools such as Adobe's Premiere and After Effects used to enhance and edit video clips and Apple's Keynote used to create interactive widgets. The project team acknowledged that there are pros and cons to developing in an Apple-only environment. "The overarching con is that you can only engage on a Mac or iOS device in the fully interactive way," LaMar said. And the advantages? "Basically everything else," he said. "There is not a better e-book development platform out there. Nothing else allows you to incorporate audio and video so seamlessly," he added. "It has great built-in features such as a popup glossary." The college is still working through whether to remain Apple-centered or become more device-agnostic. The project required the e-book authors and instructional technology staff to work through several issues on the fly. There were questions about permissions, intellectual property and royalties. "The biggest one for us was realizing that writing a textbook is different than writing an assignment or course notes," Lakostik said. "Working with the instructional designers, we had to become the subject-matter experts and get their help in how best to explain the concepts. We had to negotiate roles and advocate for the importance of the project. It got changed several times, and we wanted to see it through and have enough time to do it the way we wanted to do it." 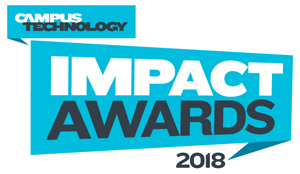 From the instructional design side, iComp was an interesting project because it was the only e-book the team had worked on that involved four authors, each with their own chapter and own unique voice, LaMar said. But both the authors and designers described being surprised by the amount of work it took to see some of the digital learning objects from concept to completion. The process included composing multiple drafts of scripts and storyboards, searching for licensed images, recording audio and video, and editing and combining raw footage. Now CSCC, which had never before published a book, is working through other logistical issues. The team's intent is to have the iComp book available in the Apple iBooks store this autumn. It is not clear what the price point is going to be or whether it is going to remain free for students. "We are working through the nuances of requiring it for a course, and what it means for financial aid and for the bookstore," LaMar said. "There are a lot of moving parts." Assessing the impact of the iComp book on student writing also may be difficult. "We try to have them be reflective about their work. When they submit commentary about the challenges they faced, what they learned and their writing process, we can glean a bit from that," Lakostik said. "We did surveys of students at the midterm and end of semester and asked if this was helping their writing. The results were positive, but it was a small sample size."